WHAT IS A STEERVISION CENTER ™ ? 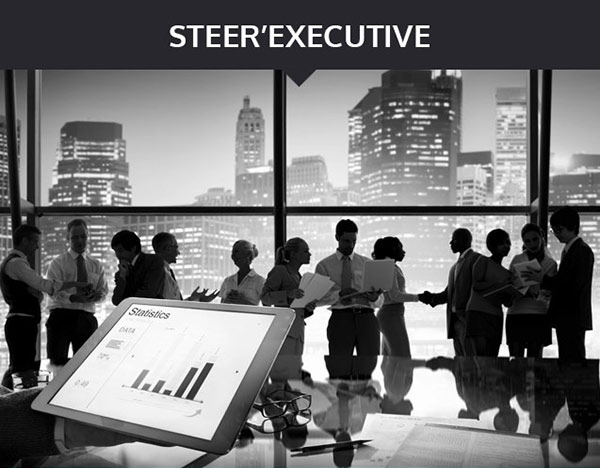 The SteerVision Center ™ is the privileged setting in which the Management Team can use the latest data to steer execution of the chosen strategy in order to guarantee the achievement of short-term and medium-term strategies. This is the tool that underpins our concept of the Discipline of Executing the Strategy. 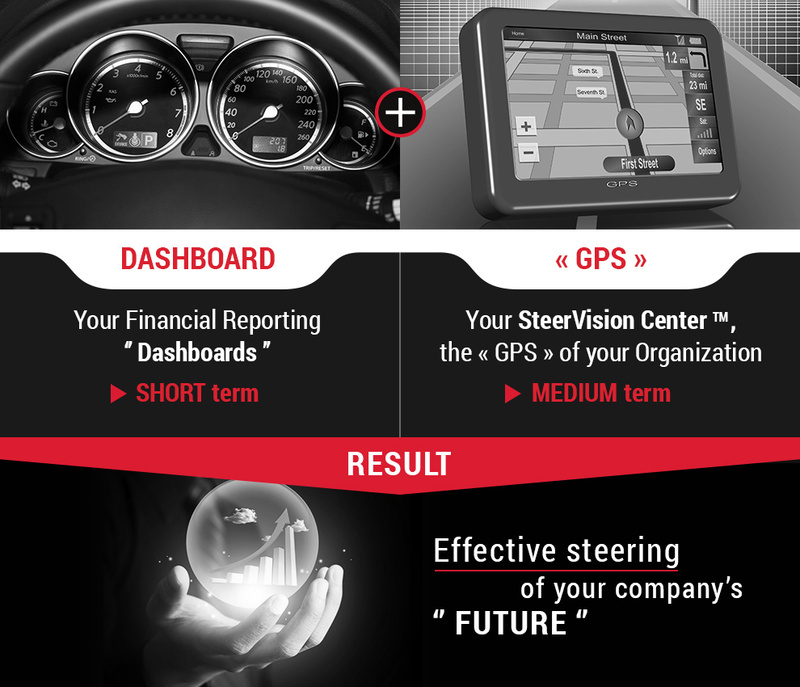 The SteerVision Center ™ offers a visual overview of overall corporate performance, using indicators to monitor execution of the strategy. Its purpose is to unite the energies of the management team and focus them on taking the decisions and the actions needed to address key dysfunctions in execution. The aim is to ensure that the annual objectives and prospects announced are indeed achieved, whilst also guaranteeing adherence to the Medium Term Plan (MTP). It offers decision-making support to the CEO in every area, formal and informal, and allows management to work effectively on the agility of their execution, a major component of successful execution. Analyze and respond to the impacts of decisions and actions thanks to projected estimates of indicators (which we introduce following consultation with the management team), supplementing your usual dashboards or indicators. Highlight the steps to be taken to deal with dysfunctions by aligning them with medium-term objectives. Respond rapidly to any changes made necessary by shifts in a highly competitive market. SteerVision Center working sessions are decision-making sessions for the management team on steering the execution of the strategy. Strategic choices, as well as actions and decisions, will be re-evaluated and refocused in the light of events. The aim is to break through any barriers to implementation, mainly where crosscutting problems are concerned, and to provide the agility a complex organization needs to respond faster and more effectively in its execution, so as to maintain its competitive edge. CEOs find themselves constantly under short-term pressure from shareholders. Add to this the changes in the digital environment, transformation plans, fast-moving changes in the competitive environment and in consumer behaviors, requiring CEOs to initiate actions today that will only bear fruit in the medium term. All this complexity needs to be steered in the light of results and outcomes. In the past, no concept existed that could meet the need for adapting strategy and for anticipation to fine-tune achievement of the strategy whilst ensuring its correlation with short-term imperatives. This is where our knowhow reveals its real value added, because our concept enables you to act before it is too late, to redesign all your actions in the light of events, to prioritize the key levers of performance, and to take the strategy forward. We help you to implement this information and decision-making infrastructure, and develop collaborative working methods by addressing the behaviors of members of the management team. We hold all these strategic steering sessions in the SteerVision Center. We train you in the methodology for updating the Center so that you can use it independently. involves supplementing your current reporting (dashboard) with the GPS navigation system for your organization that enables you to adjust your strategic steering and ensure that the path you have chosen (your strategy) will indeed take you where you want to go. Supplement “Doing things right” (dashboard) with “Doing the right thing” (GPS) to get to “Doing the right things right”. HOW DOES THIS DIFFER FROM THE MONTHLY MANAGEMENT COMMITTEE MEETINGS? Monthly meetings are designed for tackling short-term problems or taking rapid action based on what the dashboards are saying. The management team is able to pinpoint the company’s position at any given moment in time on the basis of past data. Amongst other things, this enables management to share information on the situation, and the silo operating method is particularly in evidence. 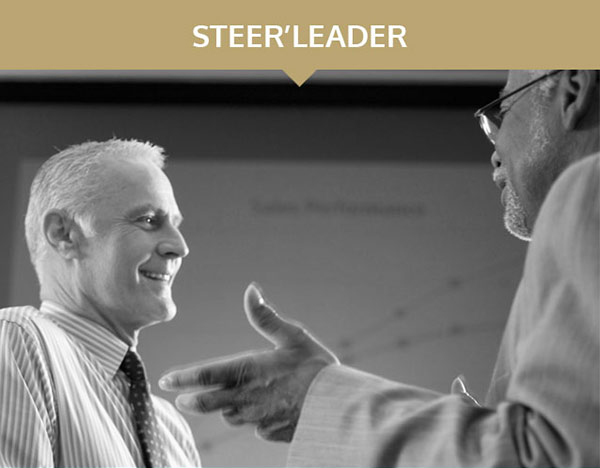 SteerVision Center steering sessions are sessions that focus on making decisions and steering the execution of the strategy, where the team dynamic shapes a collaborative approach. Cohesion and collaboration are encouraged, paving the way for building solutions to crosscutting problems, facilitating action and therefore implementation. When members of the senior management team step inside the SteerVision Center, their behavior changes because they know they are shifting into decision/action mode. The advantage is that all the energies of the Management/Executive Committee are focused on the strategy determined by the CEO, and this simultaneously boosts execution in the short term. This is what makes it radically different from traditional Management Committee or Executive Committee meetings. These sessions do not replace the monthly meetings, however, but reinforce them. COLLABORATE EFFECTIVELY FOR RAPID IMPLEMENTATION AND CONSTANT ADAPTATION IN MONITORING THE EXECUTION OF THE STRATEGY, IN ORDER TO BECOME HIGHLY EFFECTIVE MANAGEMENT TEAMS IN SUPPORT OF THE CEO. YOU LIKE TO VISIT A STEERVISION CENTER ™ ? 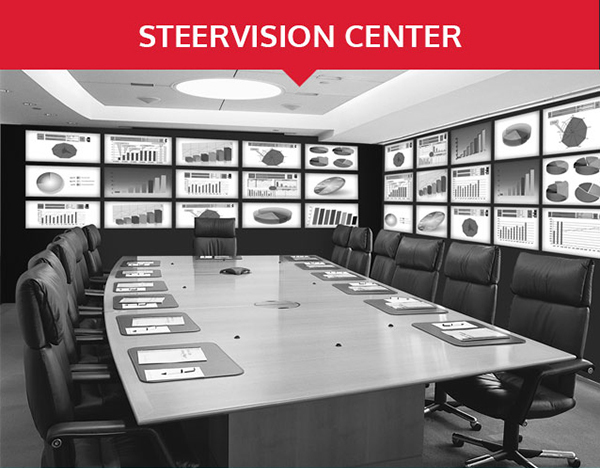 On request, we can arrange a visit to a SteerVision Center ™ in France or abroad at one of our clients.